World’s Toughest Mudder is the most extreme, insane, imposing, pulse-pounding, heart-stopping 24-hour obstacle course challenge on the planet. And in 2019, we’re going back to Atlanta. 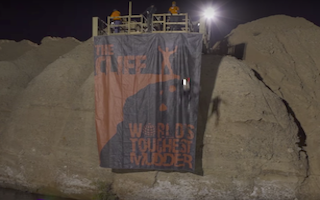 In 2019, all participants of World's Toughest Mudder will receive finisher headbands and medals for taking on this beast of a course. The men, women and team that complete the most 5-mile course laps at this outsized event in a 24 hour period will be atop the podium and receive 1st, 2nd, 3rd place medals, FREE World's Toughest Mudder 2020 entries and be crowned the Toughest Mudders on the Planet. 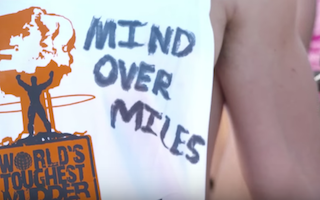 World's Toughest Mudder 2019 is a 5-mile circuit race peppered with 20-25 of Tough Mudder’s biggest, baddest, most insane obstacles, including never-before-seen 2018 obstacles and a handful of World’s Toughest-only obstacles, at a rate of over 4 tougher-than-you-ever-thought-possible obstacles per mile. “The Pit” is where competitors set up camp in order to rest, recharge, and refuel during the event, aided by up to 4 “Pit Crew” members per participant. Event winners will be the man, woman, and team that complete the most laps in a 24-hour period. 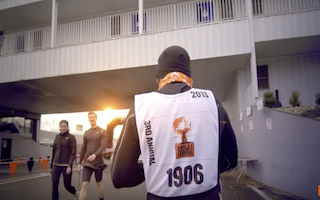 In 2011, World’s Toughest Mudder was created with one simple goal in mind; to find and challenge the toughest endurance athletes in the world. The format was set at a 24 hour, lap based course, to see who could complete the most laps within a 24 hour period. Each lap features the full set of signature Tough Mudder obstacles + a unique mix of obstacles designed specifically for World’s Toughest Mudder athletes. The first event was held in Englishtown, New Jersey in below freezing conditions where hundreds of athletes from around the globe turned up to compete. The conditions were harsh, but the competition was fierce and a new kind of sport was born. Along with it, a strong community of dedicated World’s Toughest Mudders turned it into an annual passion. From 2011 to 2013, the event remained in New Jersey, building new obstacles and new challenges into the format year after year. In 2013, Ryan Atkins broke the 100-mile-mark for the first time -- a feat most thought was impossible. In 2014 World’s Toughest Mudder moved from the raceway to the desert outside Las Vegas, Nevada where it remained until 2017. In 2018, World’s Toughest Mudder will take place in Fairburn, Georgia. 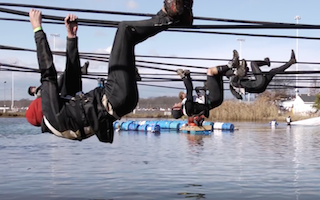 Watch athletes take on the courses and obstacles from the very start.